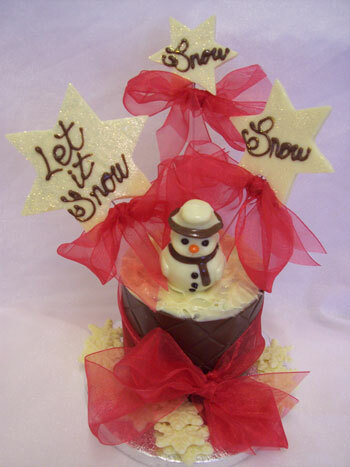 Perfect Christmas gift, chocolate centrepiece, or edible addition to your seasonal decorations! White chocolate Chirstmas snowman decorated with red ribbon, milk and coloured chocolate. Includes message snowflakes.